Last Thursday a large gathering of Aberdeenshire Council Officers gathered at the new campus to discuss the future of the old Academy site. Local councillors were supporting the retention of the former playing fields so that Mearns Academy can make use of it for rugby in the winter and athletics in the summer. Unfortunately the Council wish to cash in the whole site to the highest bidder to meet the existing financial commitments. There was no enthusiasm from the Council and no real drive from the local councillors. 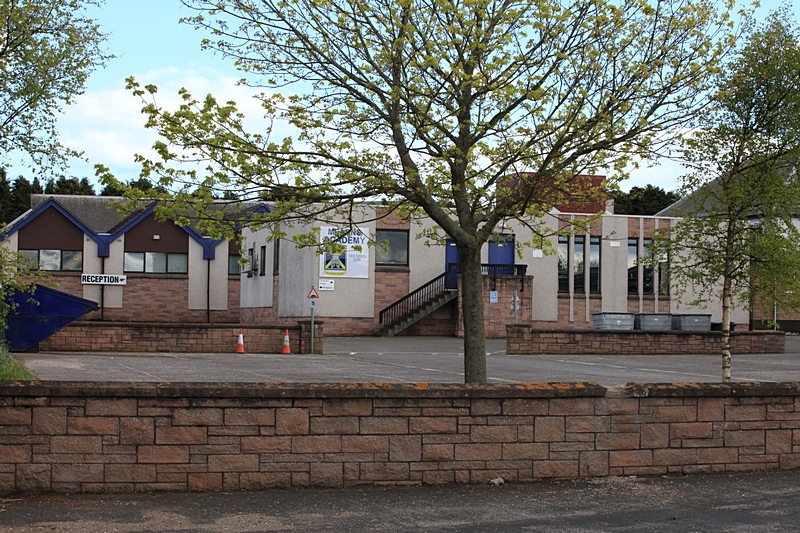 If Mearns Academy wish to have a full range of facilities for all-year sports the community needs to take the initiative and make a strong case on behalf of future generations of local children. Nothing will happen without making a strong case for its retention. The Council did commission architects to produce recommendations for the most efficient use of the old school. The result was a plan to create a new business park – just what we need in Laurencekirk as the oil and gas sector begins to decline. Despite the success of the existing business park (and the revenue it earns for Aberdeenshire) there is no will to repeat the exercise. The tone of officers was that it was all too much for them and that they would soon be retired and they could forget about Laurencekirk and the residents of the Howe. Councillors pleaded but made no specific proposals that would benefit the area in the long term. Let us know your views, contact us now either here or on the Facebook page. Leave the playing fields for the new academy but demolish the buildings and build more industrial units and try and bring more trade into our village. If the new academy does not have enough sports ground to allow the kids to develop their skills at different activities then I feel the old playing fields should be left for them to use it. We should be encouraging the kids to try different sports and get some exercise instead of playing on x-boxes etc. However instead of a business park in Laurencekirk the village is expanding and is crying our for a larger supermarket and petrol station. I agree completely. A proper supermarket and petrol station are desperately needed in this area, especially considering all the new houses that will soon be built in L’kirk and nearby villages. Keep the playing fields. It would be crazy not to.